Troubleshooting Computer Monitor Problems: the Sideways Stretch - Ask Leo! Stretched or horizontally elongated screen are a common computer monitor problem. We'll look at the most likely cause, and resolution. I’ve installed 22″ flat screen Optiquest Q2201wb monitor to replace my several-year-old 17″ CRT ViewSonic E771 monitor. Everything seems stretched out sideways: the icons on my desktop are now rectangular instead of square; all the letters in my posts seem wider; the people on the screen seem shorter and fatter; etc. My neighbor thinks I need to replace the video card(?) in my computer tower. Is this true? Need I do any other things to accommodate the change in monitors. If ‘Yes’, can you tell me what to do and if they’re things I can do rather than taking the tower to the shop where I got it? I’ve seen this computer monitor problem myself. In fact, if I so choose, I can make that problem happen on my computer monitors without much effort. The good news is that it is, likely, just that – a choice. But exactly what choice depends on the capabilities of your monitor and your video card. The difference that you’re seeing is that the “aspect ratio” of your new monitor is likely different than it was on your old CRT. This is a change we’re seeing in the world of television as well as screens change from standard to high definition. It’s likely that your old CRT has an aspect ratio of 4:3 … meaning that the width is 4/3 the height, or conversely, the height is 3/4 the width. Your new monitor is probably different. Perhaps it’s 16:9, the new HD TV standard, but it could also be something else entirely. If you look at screen resolutions, you’ll see something interesting; measured in pixels, the old “standard” screen resolutions – 640×480, 800×600, 1024×768 – are all 4:3. And I’m sure that they displayed just fine on your old CRT. I looked up your new monitor, and it has a native resolution of 1680×1050 pixels. That’s not a 4:3 ratio (it’s actually about 4.8:3, or more correctly 8:5). That means that’s it’s wider, in comparison, than your old monitor’s 4:3. Now, if you change nothing else and just plug in your new monitor, then the monitor needs to make a decision – how to display what is likely a 4:3 image in a 4.8:3 space. There are three choices. 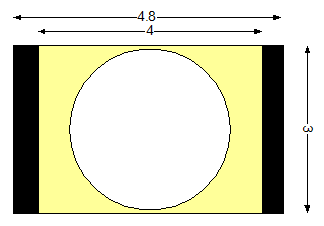 This is typically done by displaying the 4:3 image centered within the larger screen. You’ll see this all the time now when 4:3 standard definition TV shows are displayed on 16:9 HDTV screens. Typically, the centered image has black bars on either side to take up the unused space. 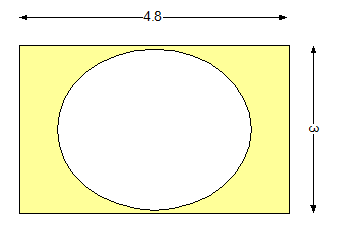 In this case, the image is enlarged to fill the entire width of the screen while maintaining the original aspect ratio. The result is that the top and the bottom are lost since they don’t fit. In this case, the monitor stretches the image to fully fit the screen, ignoring the original aspect ratio. As you can see, what was a perfect circle at 4:3 is now a somewhat elongated ellipse when it’s stretched to fit this wider aspect ratio. Everything on screen appears slightly stretched horizontally. That’s all well and good, for way of explanation, but how do we fix it? There may be two ways. Your monitor may, in fact, have an option to choose what to do when the aspect ratio of what you’re attempting to display doesn’t match. In fact, your monitor includes the option to “Fill to Screen” (stretch, in the example above), or “Fill to Aspect Ratio” (the centered with black bars approach) in its settings. These are settings you would access using the menu and other controls on the monitor itself. Many monitors include similar settings, but many do not. Your alternative is to adjust the screen resolution in Windows itself. If you can, set the Screen resolution to the maximum native resolution your LCD monitor supports by adjusting the slider. In your case that’s 1680×1050. If you can set it to that, then Windows will automatically display at the proper aspect ratio, and the monitor will not have to stretch anything. Setting your screen resolution to match your monitor’s native resolution is, by far, the preferred solution to get you the best looking display. If that specific resolution is not available, then you’ll need to try resolutions that are smaller than that, but ideally with the same aspect ratio. 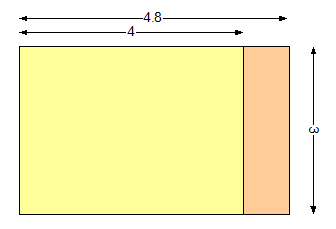 1512×945, for example, would maintain the same aspect ratio. Not all monitors handle running at less than their optimal resolution well, and it may result in a slightly fuzzy display, but it won’t be horizontally stretched. Finally, your friend may be right. If your video card cannot put out the monitor’s native resolution, and you’re unhappy with the alternatives above, then changing one or the other might well be called for. Why Does My Monitor Go Dark for a Few Seconds? - A monitor going dark could indicate a couple of different problems, but it doesn't necessarily mean you have a hardware issue with the computer itself. I'll show you a couple of ways to diagnose the problem. How Does Screen Resolution Work? - Screen resolution is a simple concept, but when combined with the myriad ways that Windows can be configured, it can quickly become confusing. « Previous post: I Thought I Deleted these Files; How Were They Recovered? For the benefit of your readers, I’m not the person who asked this question. I would however, like to offer my praise on the answer given. I thought your diagrams and explanations of aspect ratio were comprehensive and easy to understand. Kudos to you Leo for an excellent article. It is more important than just getting the aspect ratio right. If you set it to anything other than the native resolution or an integer multiple or division of it, your image will be “fuzzy” compared to the native resolution. The other is you want to get every bit of resolution that you paid for. The computer will output pixels in the locations set by what you told it to in the properties page. If that doesn’t line up with the number of pixels on the monitor, the monitor will average part of up to 9 pixels from the computer to make one on the screen. 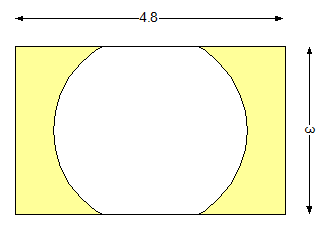 That averaging softens the edges of lines or may loose part of a thin line. This doesn’t apply to CRT monitors because they can adjust the number and position of the pixels on the monitor. The pixel locations on an LCD or Plasma screen is locked in when it is made. There is one more adjustment to add to do when you get a new LCD screen. In Windows XP, it is in the Appearance tab of the Display Properties box. It is called ClearType. Each pixel on your LCD monitor is made up of three colored pixels that get turned on individualy. Clear type uses this to turn on the sub pixels individually to improve the sharpness of the monitor. I am sure that there are similar instructions for other operating systems. Leo, the answers and insight you gave were correct and helpful however you only partially answered the question. There are still several troubleshooting tips to try BEFORE purchasing a new graphics card. I have a similar but, different, problem: I connect a 19′ Wisescreen monitor to my “Netbook”. It stretches the width to the maximum but, doesn’t increase the height. Is there a way to increase the height? Why does my laptop monitor fade in and out? Three possibilities come to mind: 1) the screen is defective 2) you’re accidentally hitting the brightness key sequence 3) the ambient light sensor which auto-adjusts brightness is malfunctioning or obscured. I have an HP dv5035nr notebook pc with a monitor problem. The screen will freeze (the mouse will not move) , lines appear and the tool bar inverts. To unfreeze the monitor I have to move the monitor back and forth which clears the problem until I move the pc. My laptop is displaying two same image in between a white horizontal line across the middle of the screen. It caused the image to appear smaller and the text difficult to read. Please tell me how to fix this problem. Very good tutorial by Leo and the help from Jon S was quite helpful. Is there an easier way to wake up your laptop once you have configured it to “do nothing when I close the lid of my portable computer”, rather than opening the lid and pressing the start button each time? I’ve recently added a high resolution monitor (1920 x 1080) to my system, and Windows XP now stretches over this and the original monitor (1024 x 768). 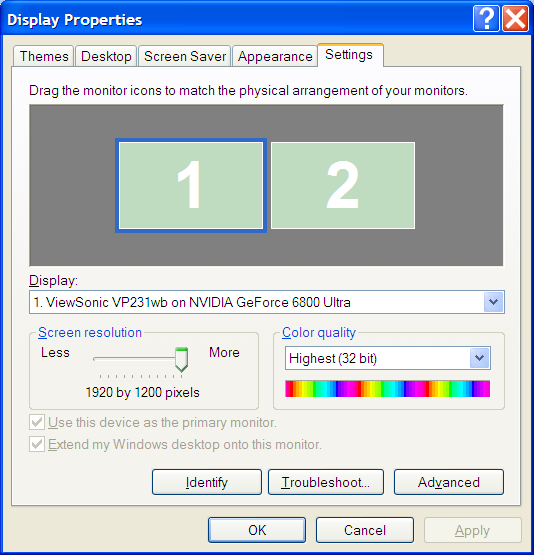 I can set the resolution for the monitors as you describe in the main article, but when I start up my system I have to change the high res monitor setting from 1024 x 768 to 1920 x 1080 every time. Is there a way of getting the system to start up automatically with the correct resolution settings for both monitors, please? Try making the change and then just pressing the Enter key. After running updates on my windows 7 my screen is stretched horizontally. If I use my old settings then I lose my title bar in all programs. If I change it to get my title bar back then I’m backed to a stretched screen….help? It’s an NEC IPS, closest thing I’ve seen to a CRT (spoiled). Now I’m wondering if I need a DVI card or if my Invidia card is sufficient. Looks great so far with the resolution up to 1920 x 1080. Would a DVI card make that much difference, or just be an unnecessary expense? Whoever came up with the idea for “widescreen” monitor should be horse whipped! Why should we have to put ourselves through all the grief that these wacky rectangular monitors give us? Stretched images, black lines on the sides? Who’s the genius that decided THIS is progress? No thanks, I’m sticking with my square 17 inch monitor and my visual sanity. Okay, you can express your ideas, but no need to go on a rant! I had to hit “Alt” “Spacebar” to get the “move” option instead of “Ctrl” “Spacebar” as advised concerning moving a window. it the video display card? I could be either. It also could be the cables or even drivers, software or a virus. You can try your monitor by plugging it into a different computer or try a different monitor in your computer. You can also try new cables. This way you can eliminate one or another as a culprit. Hello Leo. I was the guy with the vertically stretched images/text on my old 17 inch Dell Computer monitor,I Emailed you about yesterday,I did what you suggested I went into the Display Properties on my Windows XP and increased the screen resolution to the maximum setting and it corrected the image problem instantly I cannot thank you enough for your help Leo as I was about ready to throw away my CRT. Thanks, the explanation and the solution helped me as well. Excellent article. big help. Thank you! I have an old DOS program that I was running under Windows 7 (both 32 and 64 bit). The program window came up in a window that filled the screen vertically, but not horizontally. Recently, I was playing around with the display settings, and I inadvertently checked a box (I think it was called ‘stretch’), which caused the window to stretch across the entire width of the monitor. Now I can’t figure out how to ‘unstretch’. Whatever I did only affected the one program. Everything else still works. I ‘ve tried looking for a fix at several sites, including this one. But so far, no luck in unstretching the display. Can you offer some advice. Thank you for at least getting the display centered. However, I do have the black lines on each side of the display and the display itself is smaller in size. Not sure how to correct his. I bought a 20″ screen. I still have Windows XP. The list of resolution modes does not include the one suggested for the screen (1600 x 900). I tried 800 x 600 but everything is huge, sides are not visible, and it still looks squashed. Is there any way I can get the 1600 x 900 mode on Windows XP? I solved that problem by installing Linux. You’d be surprised, it’s not as crazy an idea as it seems at first. Everything I used XP for, I can do with Linux. 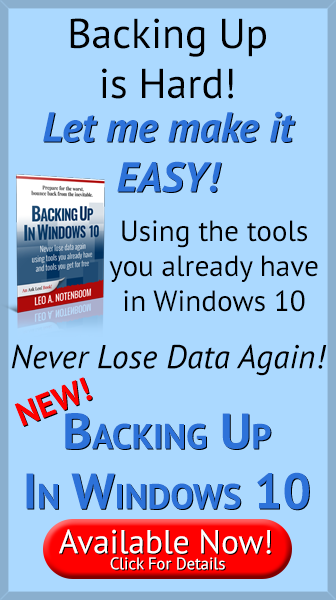 If you don’t have any Windows specific programs to run, it might work for you. Of course I still have 3 Windows 8.1 machines. It’s not a function of Windows XP – it’s a function of the video card installed in your machine. It may simply not support the resolution you want. Thank you, I was able to fix the problem myself with your help! Sir the Desktop on my LCD Acer monitor moves leaving behind a black border. How can I rectify this? This has never happened before been using this monitor for last two years. This LCD Monitor is fitted in a van which supports two LED Signs. Lately I changed the cable to a longer one. This problem has been happening for last 2 weeks. hello there, i want to ask you about my 23.8′ monitor, after 2 – 3 hour it appear some kind of line, when i turn it off wait 5 mins then i turn it back on its okay.. after 2 – 3 hours it appear again. please email me if you want to see the problem. Sounds like a hardware issue with the monitor itself. So I 100% understand your explanation of why this happens. I have 2 questions however. First question: what do I do if my OS resolution is set to the native resolution of my monitor and the screen is STILL only showing me a square instead of filling the full widescreen monitor? Second question: Why does this stuff ONLY ever happen when I move to a new home. Seriously, I’ve changed NOTHING about this computer…same cables connecting it, same monitor, same computer…but now when I boot up at the new address, it’s chaos with the display. And I’m sure I’ll find a solution and fix it. And I’m equally sure that the next time I move, the same darn thing will happen but with some nuanced twist that makes the solution I figure out this time inapplicable. In the words of Charlie Brown: AUUUUUGH! You need the proper drivers for your video card. The sizes you see are the default when the default driver can’t take advantage of the full capabilities of your video. i recently had 100 digital(800*480) TFT LCD monitor installed in my BMW E84. at first it played a video but only for a while ,since then it only show the videos in a split screen. what could be wrong? my second question it when i open the right front door ,on the screen it shows the left front door is open,,, please help me out. I’d check with the people who installed the screen of the manufacturer of the screen. It should still be eligible for support from the manufacturer. I have the same problem occurring at about the same time. I concluded that it must be the graphic card but there is no improvement with the new one. All the pictures seem to be about 20% wider. I also lost the sleep option when shutting down windows 10. Must be a Microsoft problem. Hope that they fix it as they fixed the audio problem that drove me crazy for about six months. I have an amazing 4k 32″ monitor that was given to me for free at work since it has a defect. I’ve fallen in love with it so far and it would be major upgrade over my old 22″ I’m currently using despite it not working 100% properly. want to know if there’s a workaround for this. The darker area still displays all the pixels and gets brighter when I adjust the image brightness tools in software. Is the ANY program at all the allows you to increase the gamma and brightness of just a section of the screen instead of the whole screen? Like setting 90% brightness on the bottom right quadrant while displaying 50% brightness on the rest of the screen? So far I’ve done dozens of google searches and found nothing, but I would very surprised if someone has not written an app for this. On my old Compaq Presario, I had at the beginning, horizontally stretched image on the monitor. After downloading a certain program (I forgot the name, it contained the word “graphic”), everything worked well, until some days ago, when, after pressing a wrong button on the control panel, everything in the monitor is stretched; square are rectangles, circles are oval. Even in Photoshop, where I’m mostly working, the same wrong thing appears. Is there a way to fix it ?